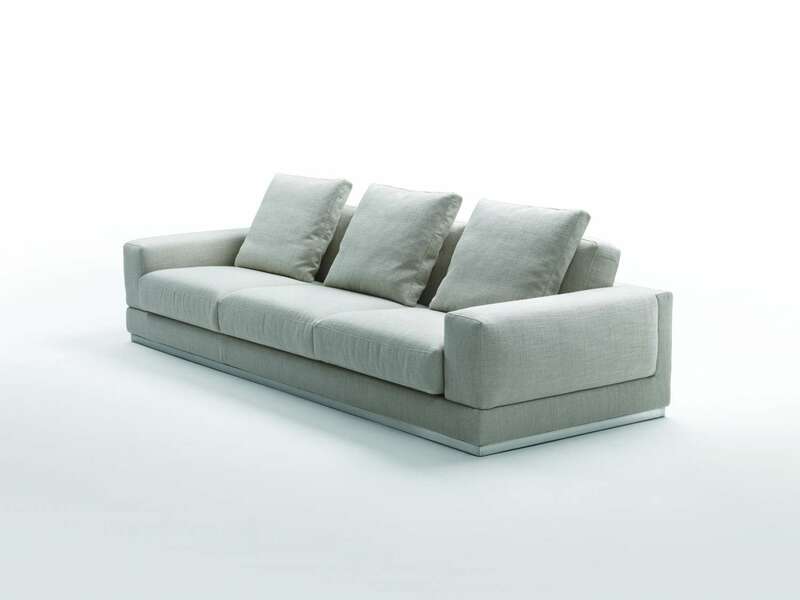 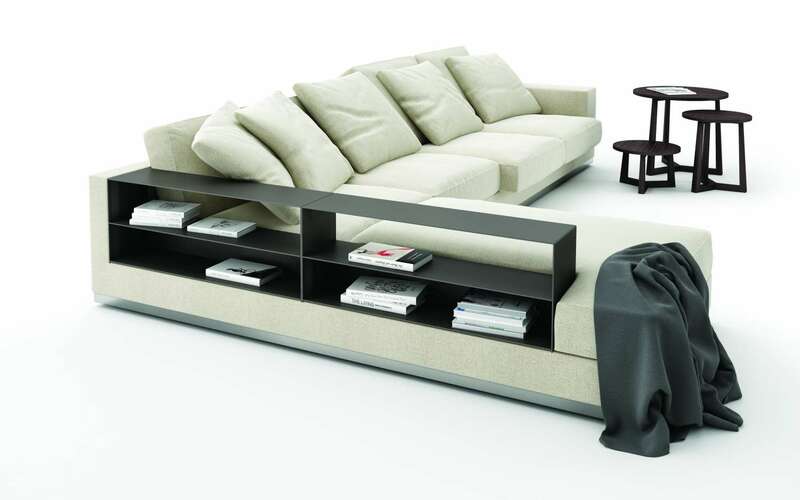 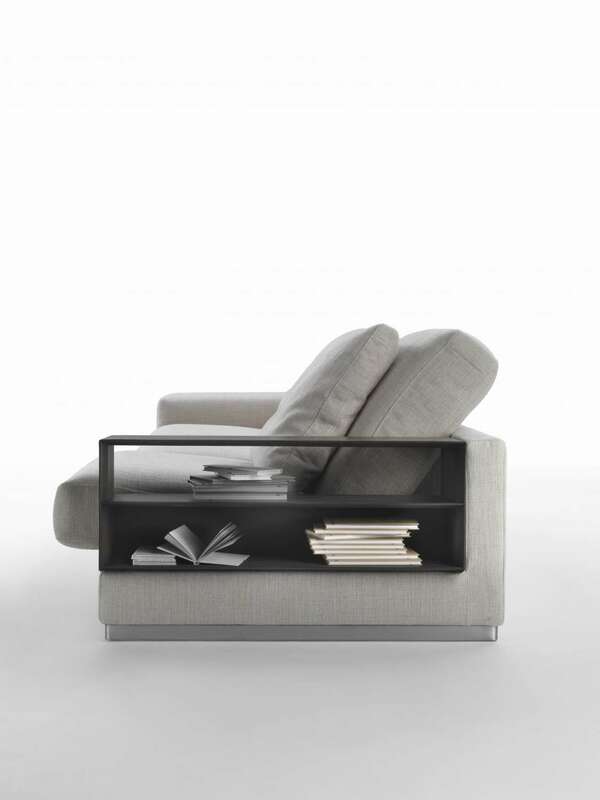 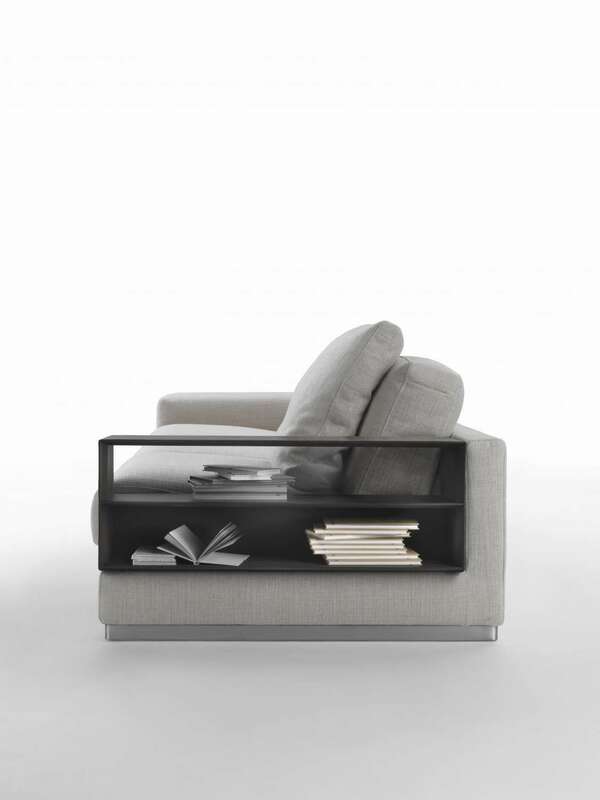 A sofa with an ample look, assembled with different parts and clean lines. 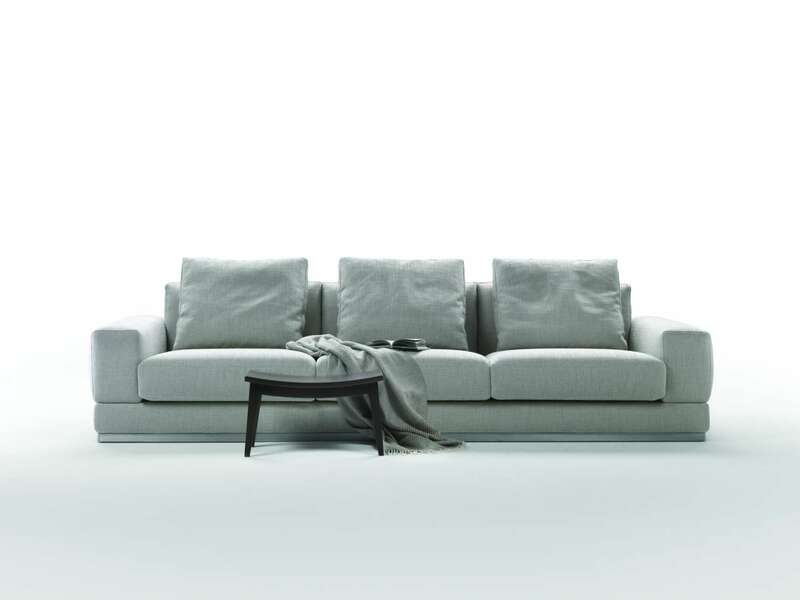 Visibly soft, it has the appeal of a true classic. 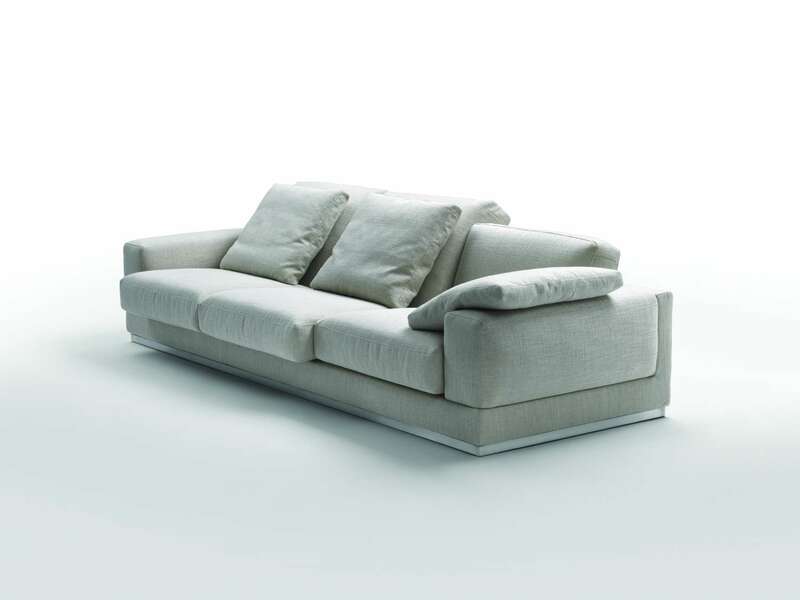 It rests on the floor with a metal base, and has large upholstered armrests, or the option of an armrest-compartment in cowhide, a stylistic trademark of the company and a handy feature to contain objects. 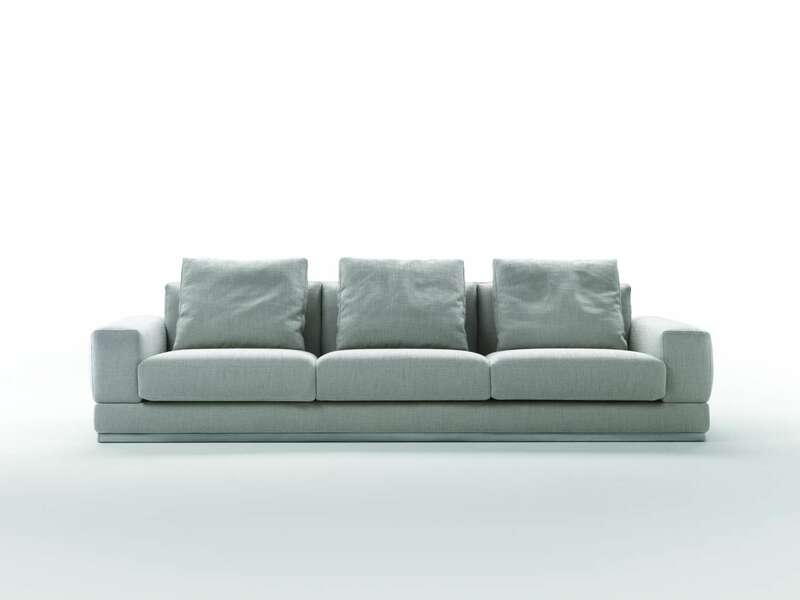 The back has large down cushions and lower back rolls. 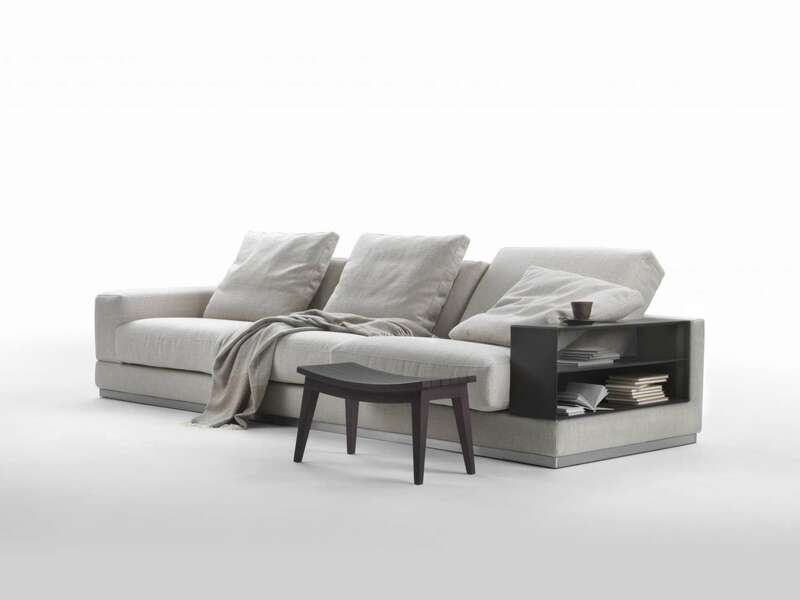 BIG BOB can be outfitted with a mechanism for easy movement, providing a comfortable position for total relaxation.